]A revolutionary invention for maintaining personal hygiene has been invented by a Japanese researcher Kazue Yamagishi. 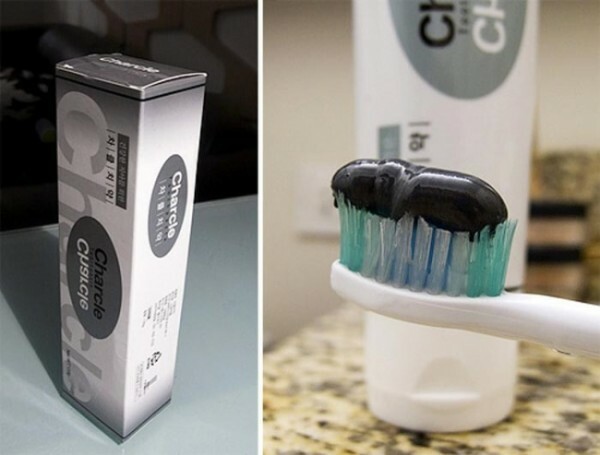 It’s about a new toothpaste that fills all the holes and cracks in the teeth and restore the tooth enamel. All this ultimately makes a lot of manipulations unnecessary , which dentists usually perform. In its composition the tooth paste of the Japanese researcher is similar with the tooth enamel, the only difference is that it is liquid. Thus it can easily be applied to the affected area with a toothbrush. The formula of the new paste is obtained after a series of experiments with hydroxylapatite, also called crystalline calcium phosphate, the main component of the tooth. Also speaking at the summit was Dr. Willie Soon, an astrophysicist and geoscientist at the Harvard-Smithsonian Center for Astrophysics. The UN Intergovernmental Panel on Climate Change (IPCC), he explained, “is totally anti-science, and is harming science.” Emphasizing the massive role played by the sun in the Earth’s incomprehensibly complex climate system, Soon narrowed in on one particular claim in the IPCC report on the issue that he said made a complete mockery of science. “The IPCC is pure gangster science,” he explained. Speaking to The New American after his presentation, Soon said the vicious attacks against his character and family by global-warming alarmists had only motivated him to work harder. Rather than launching personal attacks, he said, critics should instead focus on the data and his conclusions published in the peer-reviewed literature. Another top scientist at the summit was University of Virginia Professor Emeritus Dr. Fred Singer, founder of the Science and Environmental Policy Project (SEPP) and the Nongovernmental International Panel on Climate Change. “There has been no statistically significant warming in 18 years,” he told the summit, showing a slide comparing observed temperatures with the various bogus predictions made by “climate models” relied upon by the UN, all of which predicted warming as CO2 increased. “The models don’t work. We should not use them to make policy.” He also noted that carbon dioxide — “the original plant food,” as he called it — is very valuable. “Plants are starving. They want more CO2,” Singer added. Essentially, the internationally respected scientist continued, the climate has always changed due to natural forces — warming, cooling, and so on — from the beginning. And so, that means the obvious hypothesis that natural forces are still driving climate change, as they always have, must be shown to be false by proponents of the man-made climate change propaganda. In other words, the burden to show that the recent minor changes are attributable to mankind is on the alarmists who want to empower the UN, control CO2, and redistribute wealth. So far, though, the alarmists have failed, and they have a tough job ahead, Singer said. “This is about money and power,” Singer told The New American in an interview, adding that governments had purchased the cooperation of many scientists on climate alarmism. “Science plays a small role, and mostly it’s being misused.” “It’s a matter of really trying to control things,” Singer said, noting that control of CO2 means control of economies and ultimately, people. What is being plotted right now at the nearby UN COP21 summit, he added, is a “direct subsidy to kleptocracies,” which are pocketing the climate loot and hiding it in their bank accounts. “It’s a matter of the poor in rich countries supporting the rich in the poor countries,” Singer concluded. Also speaking at the summit was Greenpeace co-founder Dr. Patrick Moore, who gave a presentation thoroughly debunking the myth of “ocean acidification.” In the real world, he said, there is “no conceivable scenario” in which the world’s oceans would become acidic. “It is a complete fabrication with no basis in reality,” he said. In fact, CO2 does wonders for marine life, Dr. Moore showed, noting that the most productive area of the ocean, the Humboldt Current, is also the most “acidic.” “CO2 is fertilizing the oceans just like it is greening the Earth,” he said. In an interview with The New American after his presentation, Moore also identified the real agenda behind the UN climate summit: bringing down industrial civilization. If successful, he said, the lives of countless human beings will be lost as a result. Dr. Christopher Essex, associated chair in the Department of Applied Mathematics at the University of Western Ontario, also spoke at the summit, taking on various myths about the “climate” that are being peddled by politicians and “journalists” who he said have no clue what they are talking about. Trying to explain the unfathomably complex nature of the climate system, Essex said the whole “climate” conversation was absurd. One of his slides comically noted, “Over 95 percent of the models agree: The observations must be wrong.” Essex built his first climate model in the 1970s, and in an interview with The New American said that humanity still has a lot to learn about the climate system and that much more research is needed. After the scientists gave their presentations, a panel discussion highlighted the massive damage being done — especially to the poor — by so called “climate” policies. Among those speaking was Lord Christopher Monckton, a giant in the climate realist movement. Climate alarmists have “the money, power, and glory, but we have the truth, so they have nothing, and we have everything.” If the UN summit succeeds in its goals, though, millions of people will die, he said. In an interview later with The New American, Monckton said the real agenda was to create a communist-fascist-style global government that would end self-government, prosperity, the middle class, and liberty. Another expert who spoke on the panel, Dr. Wolfgang Mueller with the European Institute for Climate and Energy (EIKE), also explained that what the developing world needs is not “climate reparations” or CO2 controls, but affordable energy. The summit was hosted by the Heartland Institute, the Committee for a Constructive Tomorrow (CFACT), and the Competitive Enterprise Institute. So far, despite the fact that thousands of “journalists” are in Paris covering the UN summit, virtually nothing has been reported by the press about the prestigious scientists and their conference. Also blacked out of the media has been the NIPCC report, in which scientists examined the peer-reviewed science and came to dramatically different conclusions from the UN IPCC. Heartland speakers noted that they often invite alarmist scientists to debate realists, but instead, the alarmist movement prefers to pretend that the “science is settled” rather than address the major holes in their theory. And at the latest summit, that was about as evident as it could be. Still, virtually everybody at the conference expressed hope that, eventually, truth and facts would prevail.